Back in the days of his Toulouse youth, Mondkopf was just a regular teenager trying to make some new beats with a computer and a whole lot of imagintation. Then he became part of the hugely influential Fluokids family (blog and label) and started to make a name for himself as a producer and remixer. With his remixes for bands such as The Golden Filter, The Teenagers, Caribou or Pony Pony Run Run, Mondkopf received major accolades from his peers and his fan base started growing bigger and bigger. 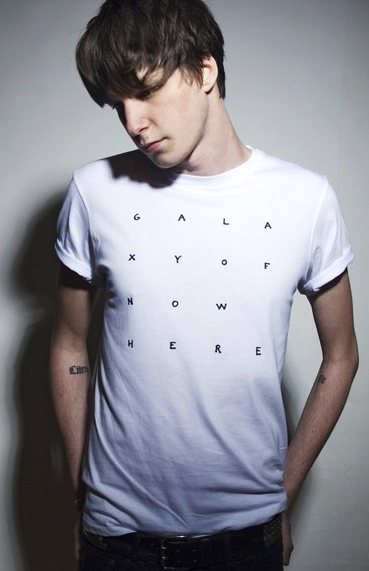 On the heels of his early hits, Mondkopf released his debut album, Galaxy of Nowhere, in 2009 on Citizen Records, label owned by cult electro artist Vitalic. With his crunchy beats, complex orchestrations and hypnotic synths, the young artist has developed his own unique sound, taking inspiration from the pioneers of experimental electronica such as Brian Eno, Phillip Glass and Vangelis, as well as innovative American Hip-Hop artists like Timbaland and Jay-Dee. A self-described daydreamer, Mondkopf is a beast behind the decks. His sets are usually intense and full of energy and his set at the Pantiero Music Festival was no exception. Blending together deep rhythms and soulful melodies, the French prodigy shows a peculiar vision of the dancefloor where strong sensations, emotions and futurism take command. Always in perfect synch with the audience, Mondkopf likes to make people react to his music both physically and mentally. His goal: to make people dance… and dream!